A copper garden sprinkler can add a distinctive look to any garden space or backyard landscape. While they are availabe in retail stores, you can design your own copper sprinkler using soft copper tubing and hard copper pipe. 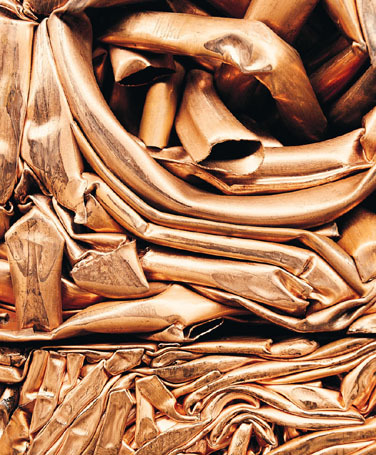 A copper sprinkler will last much longer than other materials due to copper's durability. Making your own sprinkler will take little time. 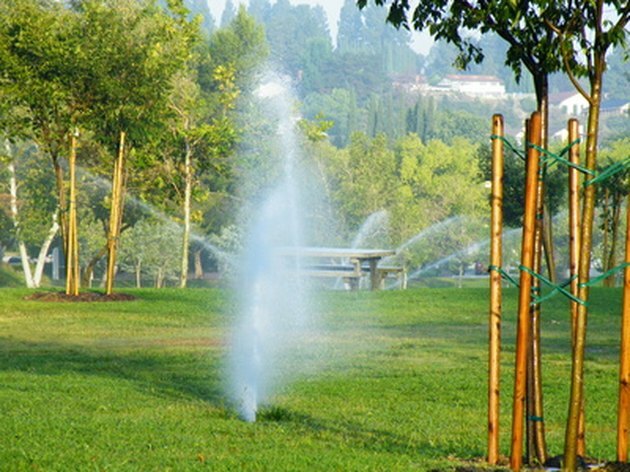 Copper garden sprinklers can spruce up any landscape. Measure a piece of 30-inch section of copper tubing with the measuring tape. Cut the section with a pipe cutter. With the hard copper material, measure and cut a 3-foot piece of pipe that will serve as conduit material. The longer piece of copper should be soft while the piece of conduit needs to be a more rugged selection for sturdiness. Drill a 1/8-inch hole every inch along the 30-inch piece of copper tubing. Drill the holes all the way through the tube. Apply flux material and attach a brass swivel fitting to a copper "T" connector with solder material and a flame torch. Place one of the copper tubing ends into the "T" connector. Bend the copper tubing into a small circle with pliers and place the other end of the tubing through the "T" connector. Repeat the soldering process on this end of the connection so the brass fitting is securely connected to the copper pipe. Place the sprinkler head on the top of the 3-foot section of copper pipe. Solder the sprinkler head to the copper pipe to ensure a solid hold. Attach a garden hose to the sprinkler connection. Connect the other end of the hose to an outdoor spigot or water pump. Turn on the water and make sure the sprinkler is operating correctly.